ArctosLabs took active part in showcasing a demo at the recent Mobile World Congress in Barcelona. This Proof-of-Concept is important as it brings Assurance into the picture of NFV & SDN in a DevOps setup. 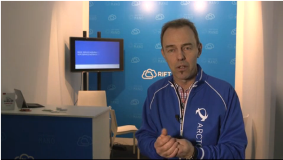 In this video, executives from PoC collaborating companies – Patrick Waldemar, VP and Head of Technology at Telenor Research, John Healy, VP of the Datacenter Network Solutions Group at Intel, Vincent Spinelli, SVP of Global Sales and Marketing at RIFT.io, Mats Eriksson, CEO and co-founder of Arctos Labs, and Mats Nordlund, CEO and co-founder of Netrounds – review the drivers and key takeaways from the PoC, as well as performing a live demonstration.